Patrons at Maccas Thornleigh didn’t know which way to look when the Z cars and a similar era of Fords rolled in to the carpark. It was like going to a car show without the cost of admission. Coincidentally both clubs departed around the same time to set off on the days adventure. Some of Henrys best and our Jap classics fighting to get out of the carpark. The beastie V8 Falcons V’s the classic beauty of the Z cars. First stop, the old toll gates at Berowra where a photo opportunity was taken. Then a pleasant drive up the pacific Hwy. I’m sure these roads would have brought back memories of pre-freeway Christmas and long weekend traffic jams for some members, but today it was more of a pleasant drive along some picturesque winding roads. 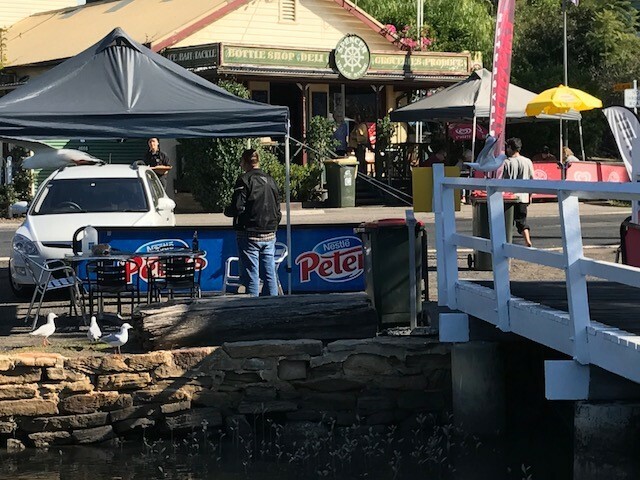 Our Pie in the sky stop included spectacular views of the Hawkesbury river with the opportunity for a coffee. It was now like being at a Motorbike show keeping the bike enthusiasts in the club occupied. We were underway again over the old Brooklyn bridge winding up to Mount White, Calga and through the Glenworth Valley on to peats Ridge and mangrove Mountain. We then started the decent to our lunch destination at Spencer. What a hidden Gem, The Spencer General Store. This place is really unique! 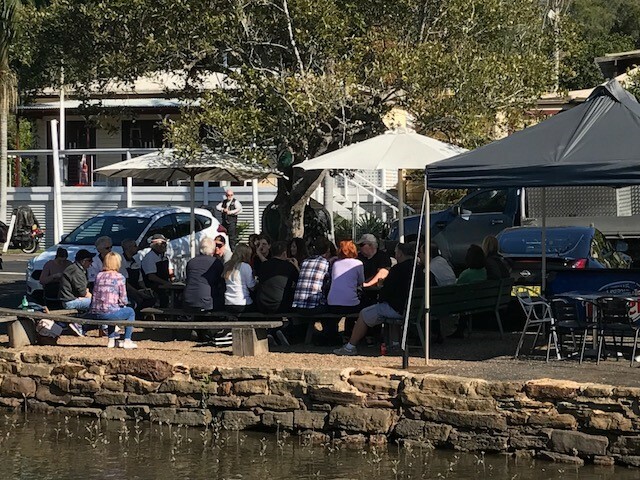 A shop on the shores of the Hawkesbury river in what is a fairly remote destination which sells everything from a can of deodorant to a delicious restaurant quality meal and alcohol? It felt a little strange (but good) carrying a bottle of cold wine and glasses out of the store and across the road to the seating provided next to the river or on the wharf. The meals were served quickly and also transported across the road by the store staff to our tables. The shop owner also came over with a heartfelt thank you to the Zedders for their business and for visiting the Spencer General store in a way that a Chef/owner would do at a high-class expensive city restaurant! Wow, what a great host. After soaking up what was left of the sun we all departed for home where for some the adventure continued with a ferry crossing back over the Hawkesbury. Thanks to all who attended and to Andrew and Esther for organising a great day. We appreciate you enlightening the Z group about this little piece of paradise where many of us will return to in the future.